Mixed Sauce, also known as Pink Sauce in India, it has a perfect blend of Cheesy and Marinara Sauce, made with tomatoes, Basil and other Italian seasoning with authentic Penne pasta is a perfect treat. If you are just contemplating what you’re going to make for dinner tonight, you’re not alone. There are countless reasons why making a meal from scratch every night of the week is sometimes just not feasible – not least of which is that we’re all busier than ever before. 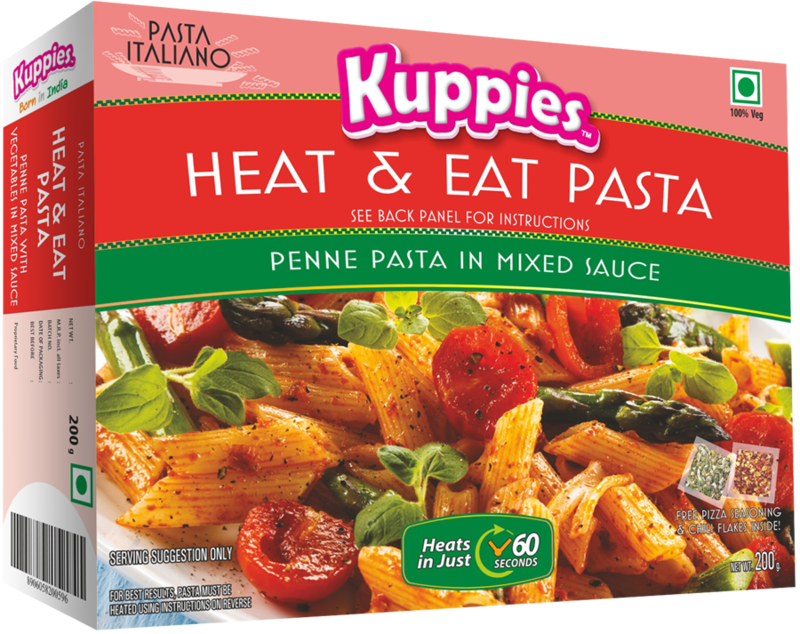 Look no further and try Kuppies Heat & Eat Pasta, made with authentic herbs and Italian flavors. The pastais perfectly cooked and filled with cheese, Marinara Sauce, Onions, Green Pepper and Pesto. Pasta sauce is so cheesy and a mix of Marinara sauce made with tomatoes and Italian Herbs.